Below are all of the prizes that our eligible for everyone...WORLDWIDE. If you are eligible for all three contests you are more than welcome to enter each. We do strongly encourage you to consider our international folks when entering and only enter for a prize you truly want. 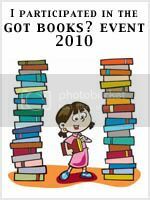 Make sure to take a look at the books and decide which one(s) you'd like the most...you may want to have a pen handy to jot down the prize pack numbers you are interesed in as you will have the opportunity to "pick" your favorite in your contest entry. If you don't recognize a book just click on the title for more information and it will take you to the book's "Got Reviews?" page. 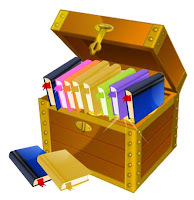 This is the same place you can go to "link-up" any reviews you may have of each book. Enjoy and make sure to scroll to the bottom for the entry form and rules! *Open Worldwide to mailing addresses only! No P. O. Boxes please. *The winner will be announced and contacted via email by Monday, July 25th, 2010 and will have 48 hours to respond with their mailing address, unless of course it was submitted with your entry. Should they fail to respond in the given time frame, a new winner will be chosen. You wrote "US and Canada" not "Worldwide" by mistake.